I procrastinate, hence this blog post is 12 days late. Nevertheless, I wish Happy New Year to each one of you. May you get best of the life in 2016. Many of us don’t like to read long stories and enjoy reading data in all possible ways. For data lovers here is the summary in a tabular form. However, I strongly request you to read the full story in your sweet time. For me 2015 has been an ok year. Neither anything exceptional nor any fatal bad event did happen in 2015. I took 2015 on a day to day basis. 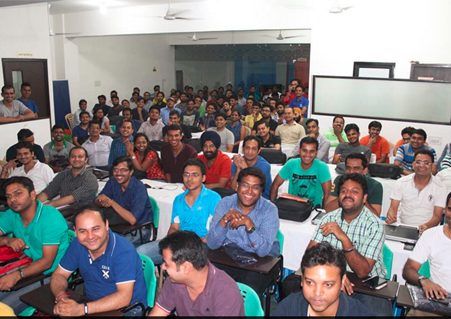 I will keep seeking opportunity to host workshop and teach developers, however not as so called corporate trainer. Life is too short to do the stuff you don’t enjoy, isn’t it? I am a Developer Evangelist by instinct and aspired to enable developers all across the globe. It was April afternoon when I met inspiring Jaosn Beres in one of the posh Delhi hotel. We talked about my career aspirations, strong and weak points etc. 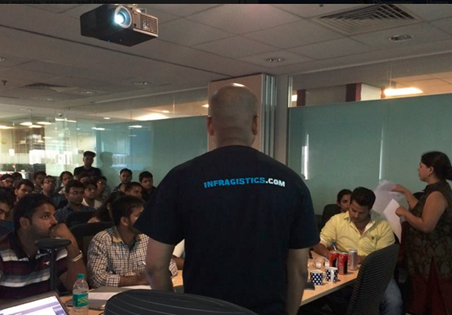 During our conversation, Jason asked me – why don’t you represent Infragistics as an evangelist in developer community? He added, you work hard and I will make the path for you to become Infragistics global evangelist. It was an offer, I could not resist. I said YES then and there. I was Telerik evangelist till April 2014. I confess, for a year I missed being an evangelist. Teaching developers, conducing workshops, hosting webinars, and moreover enabling developers to take right decisions on the products. Jaosn offer gave breath to dying evangelist in me. I delivered 11 talks in various conferences and user group events. I love to be an evangelist, and I am been doing it once again. I will focus on web based products like Ignite UI. I look forward to add more values for Infragistics Developer community in 2016. I am very excited about 2016 and I am sure it is going be bigger and better. I look forward to add more values to Infragistics developer community as an Evangelist, to my blog readers by writing quality posts, and doing more sessions/workshop for C-sharpcorner chapter community. I may become more ambitious also, and why to discard own Startup? 😉 Good luck everyone. Have a great 2016.